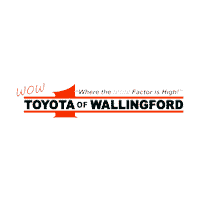 If you’re like many of our Wallingford, Connecticut customers, you may wonder whether it is better to purchase or lease your new Toyota. The simple and honest answer is- it depends as each both have their own distinct pluses and minuses in a given scenario. Ultimately, you must look not only at financial comparisons but also at your own personal priorities and ownership intentions to determine which is better for you. That said, we’re pleased to provide the following information compliments of LeaseGuide.com to better assess whether a purchase or lease is better for you. What’s Important to You? What Are Your Priorities? It’s personal. All of us have different personal styles, objectives, and priorities- in cars, life, and in finances. Car lease-versus-buy decisions must be made with your own lifestyle and priorities in mind. What’s right for one person can be totally wrong for another. LEASE – If you enjoy driving a new car every two or three years, want lower monthly payments, like having a car that has the latest safety features and is always under warranty, don’t like trading and selling used cars, don’t care about building ownership equity, have a stable predictable lifestyle, drive an average number of miles, properly maintain your cars, are willing to pay more over the long haul to get these benefits, and understand how leasing works, then you should lease. BUY – If you don’t mind higher monthly payments at first, like holding on to your cars, prefer to build up some trade-in or resale value (equity), enjoy the idea of having ownership of your car, like paying off your loan and being payment-free for a while, don’t mind the unexpected cost of repairs after warranty has expired, drive more than average miles, prefer to drive your cars for years to spread out the cost, like to customize your cars, might have lifestyle or job changes in the near future, and don’t like the risk of possible lease-end charges, then you should buy.